It’s that time of year again folks. Font survey time! 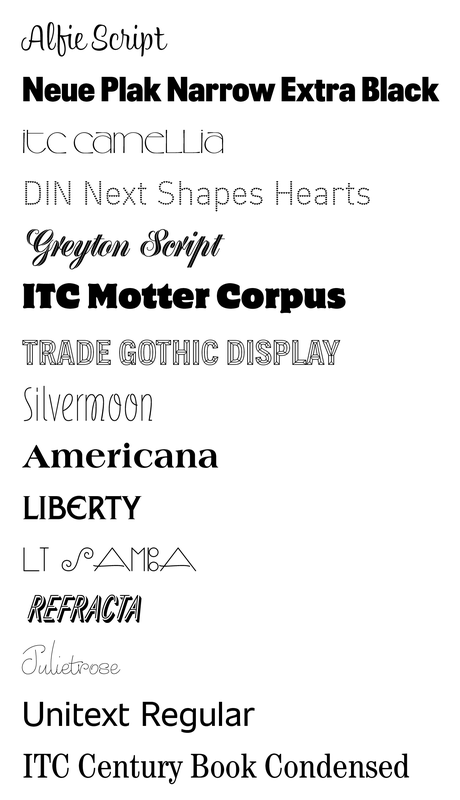 The third annual Font Purchasing Habits Survey is back and better than ever. We’ve got new questions, more fonts you get for free for completing the survey, and the results will be shared with the public at TypeCon and online, as usual. 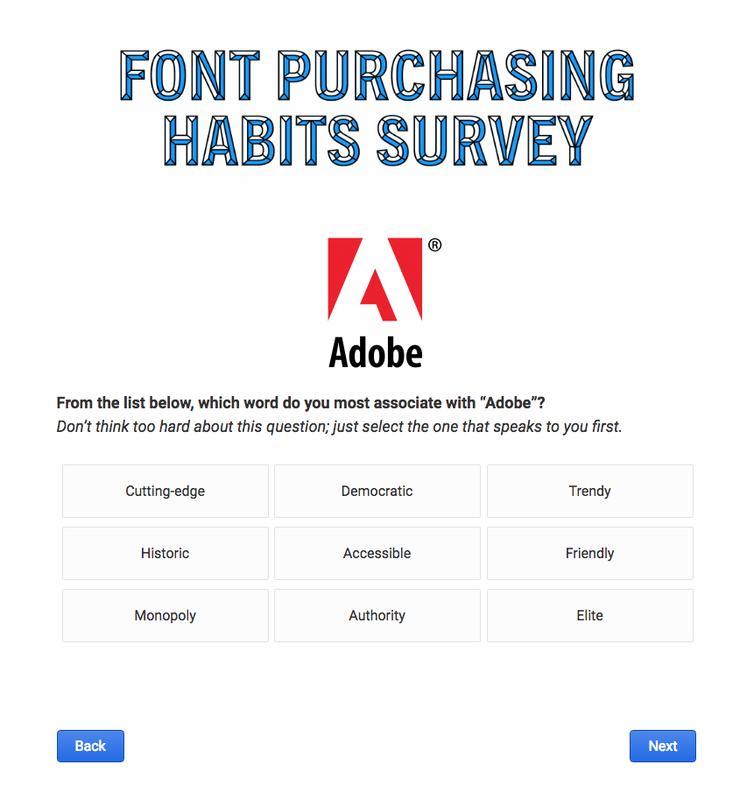 The Font Purchasing Habits Survey is an anonymous survey for anyone who uses fonts. I’m collecting opinions to help foundries, type designers, and font distributors in our design community to better understand the people who need and love fonts! Because fonts are both tools and art, and licensed online rather than sold like traditional products, font makers and sellers face unique challenges. More information is needed to better support customers and users! Join one of the largest public font customer research efforts to shed more light on this under-studied topic. Take the survey today! Deadline June 20, 2018. 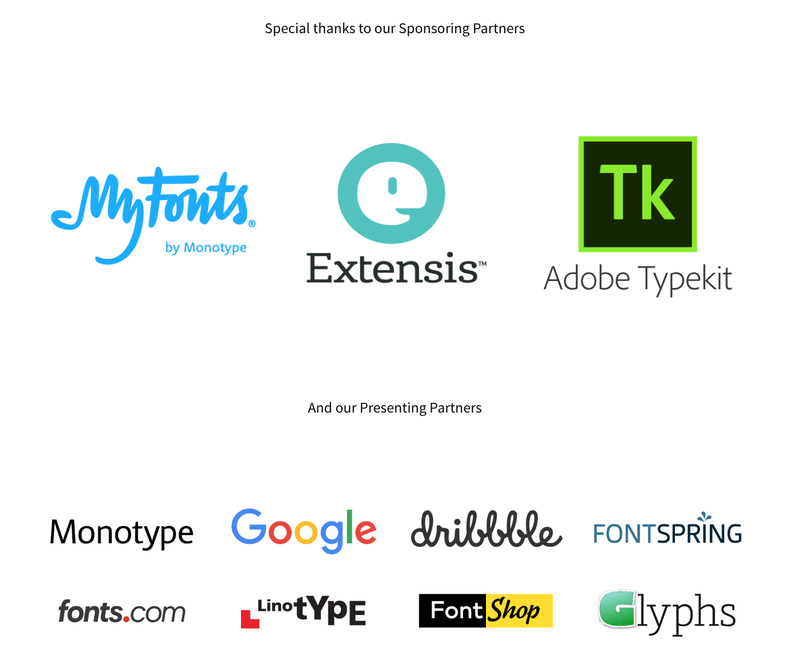 Last year, after completing the survey, you got 9 fonts for free. This year, when you complete the survey, you’ll get 15 fonts for free! Special thanks to Monotype who has provided these awesome fonts. The fonts are licensed under a single user MyFonts desktop license. With a desktop license, you can install a font in your computer’s fonts folder and use it in any of your favorite applications that contain a font menu. Create and print documents for clients, as well as static images (JPEG, TIFF, PNG), even if the images are used on the web or in a mobile app. Every year the survey evolves and improves. Having learned from past surveys and factoring in new industry information, I’ve added new questions and improved existing ones. The most significant new component of the survey is brand perception questions. You’ll be asked to pick a word you most associate with different brands. I’m very excited to see and share the results. Additionally, there are new questions about preferred payment methods, how users or organize/manage fonts, types of licenses needed, variable fonts, and more questions about subscriptions. All the results of the survey will be shared at TypeCon2018 in Portland Oregon, and will also be posted here on Medium shortly after. Don’t want to wait? Check out last year’s results! Fonts, doughnuts, data. Works for @Monotype + @MyFonts Opinions are my own.